What is a Laser engraver/Laser cutter? 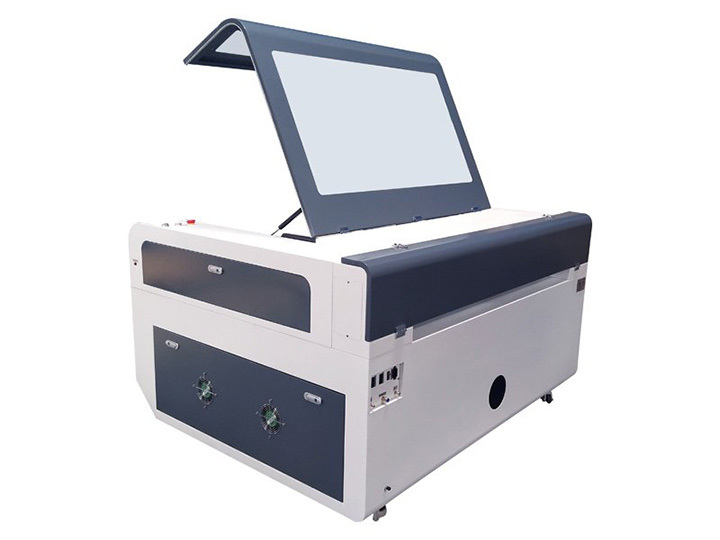 A laser engraver/laser cutter is a Laser engraving machine/Laser cutting machine with CNC (Computer Numerical Control) that use laser beam to engrave or cut patterns, pictures, signs, letters, numbers, logos on 2D/3D surface. Laser engravers are divided into Fiber laser engravers and CO2 laser engravers according to laser source. Laser engravers are divided into Laser metal engravers, laser wood engravers, laser leather engravers, laser glass engravers, laser stone engravers, laser acrylic engravers, laser plastic engravers, laser jewelry engravers according to different applications. Laser engravers are divided into mini laser engravers, small laser engravers, handheld laser engravers, hobby laser engravers, portable laser engravers, desktop laser engravers, tabletop laser engravers, home laser engravers, industrial laser engravers, large format laser engravers, 4x4 laser engravers, 4x8 laser engravers, 5x10 laser engravers according to different sizes. Laser cutters are divided into Fiber laser cutters and CO2 laser cutters according to laser source. Laser cutters are divided into metal laser cutters, laser wood cutters, laser leather cutters, laser acrylic cutters, laser paper cutters, laser fabric cutters, laser plastic cutters according to different applications. Laser cutters are divided into mini laser cutters, small laser cutters, handheld laser cutters, hobby laser cutters, portable laser cutters, desktop laser cutters, tabletop laser cutters, home laser cutters, industrial laser cutters, large format laser cutters, 4x4 laser cutters, 4x8 laser cutters, 5x10 laser cutters according to different sizes. What is a Laser Engraver/Laser Cutter Used For? A laser engraver/laser cutter can be used in industrial manufacturing, small business, small shop, home business, home shop, school education. Fiber laser engraver and Fiber laser cutter are commonly used for engraving/cutting metal materials, such as stainless steel, carbon steel, copper, alloy, aluminium, silver, gold, iron. A laser engraver with MOPA fiber laser source can also be used to engrave color on metal surface. 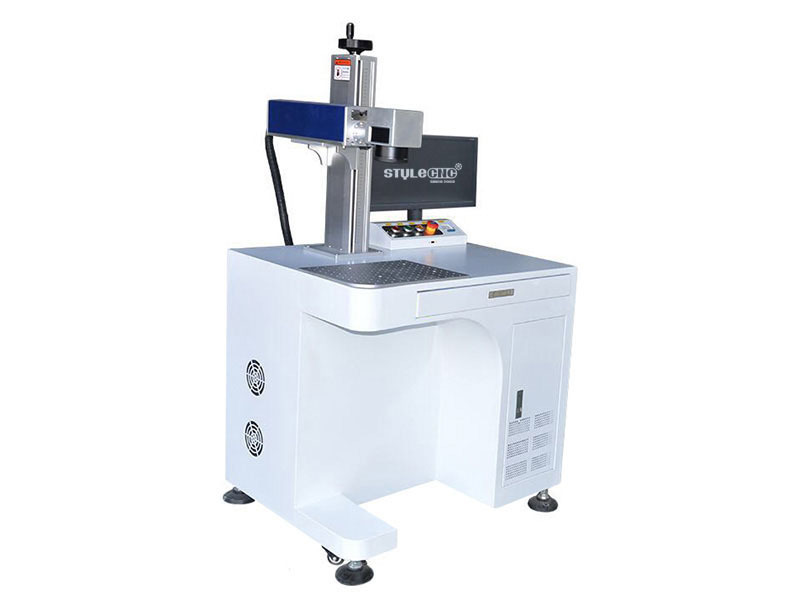 CO2 laser engravers/cutters are commonly used for engraving/cutting nonmetal materials, such as wood, fabric, acrylic, leather, foam, plastic, stone, paper, MDF, PVC. How Does a Laser Engraver/Laser Cutter Work? A laser engraver/laser cutter works with CNC (Computer Numerical Control), which will send command to make the laser head moving over the material surface, the laser beam will output at the same time to engrave patterns or cut shapes on an object. How Much Does a Laser Engraver/Laser Cutter Cost? According to different specifications and configurations (laser powers, laser types, laser tubes,laser lens, laser mirrors, etc. ), laser engravers/cutters have different price. Different laser machine manufacturers or suppliers with different service and support, so the price is also different. 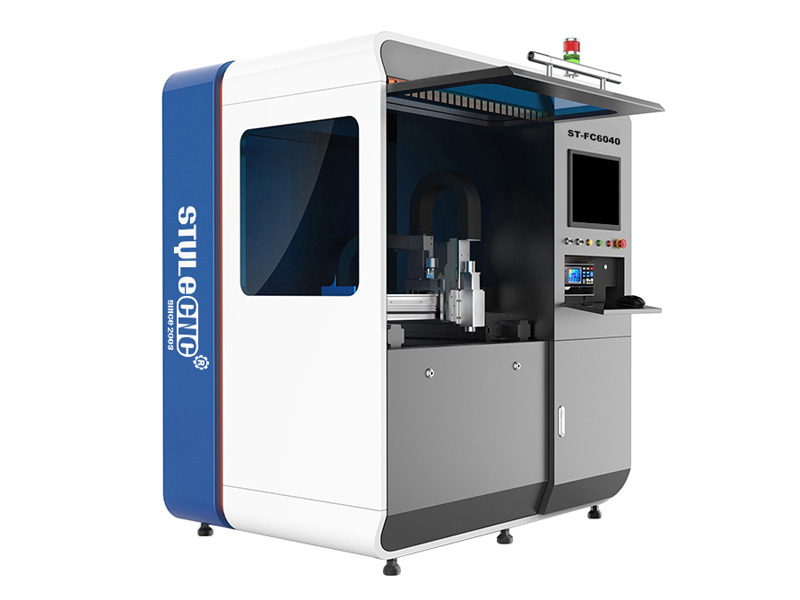 As a professional laser machine manufacturer from China, STYLECNC sales laser engravers and laser cutters to buyers directly without any distributor, STYLECNC can offer 24/7 one-to-one free service and support. 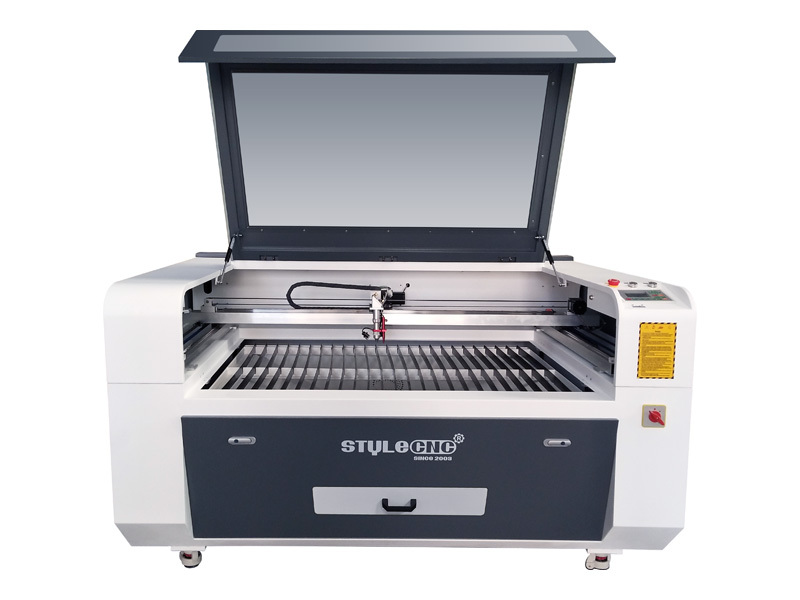 The price range of laser engravers/cutters from STYLECNC is from $3,000.00 to 300,000.00. How to Buy an Affordable Laser Engraver/Laser Cutter from STYLECNC within Your Budget? After you understood what is a laser engraver/laser cutter? what works do you want to do by a laser engraver/laser cutter? You should plan to buy an affordable laser engraver/laser cutter within your budget. We will recommend the most suitable laser engraver or laser cutter to you after being informed by your requirements, such as the material you want to cut. You can also send us your sample file, we will do cutting in our factory and make video to show you the engraving/cutting process and result, or send samples to you to check the engraving/cutting quality. We will offer you with our detail quotation according to the consulted laser engraver or laser cutter. You will get the the most suitable laser engraver or laser cutter specifications, the best laser engraver/laser cutter accessories and the affordable laser engraver/Laser cutter price. We will arrange the laser engraver/laser cutter production as soon as receiving your signed sales contract and deposit. The latest news about production will be updated and informed to the laser engraver/laser cutter buyer during the production. The whole production procedure will be under regular inspection and strict quality control. The complete laser cutter will be tested to make sure they can work very well before out of factory. We will arrange the delivery as the terms in the contract after the confirmation by the laser engraver/laser cutter buyer. We will supply and deliver all the necessary shipping documents to the laser engraver/laser cutter buyer and ensure a smooth customs clearance. As a professional laser engraving cutting machine manufacturer and supplier, STYLECNC will supply the laser machine with training video and user's manual in English for installing, operation, maintenance and trouble-shooting, and shall give technical guide by remote, such as TeamViewer, E-mail, Telephone, Mobile, Whatsapp, Skype, 24/7 online chat, and so on, when you meet some problems of installation, operation or adjusting. You can come to our laser machine factory for training. We will offer professional guidance, direct and effective face-to-face training. Here we have assembled equipment, all sorts of tools and testing facility. Training Time: 3~5 days. Our engineer will do a door-to-door instruction training service at your local site. We need your help to deal with the visa formality, prepaid traveling expenses and accommodation to us during the business trip and service period before their dispatch. It's better to arrange a translator (if no English-Speaking) for our engineers during the training period. 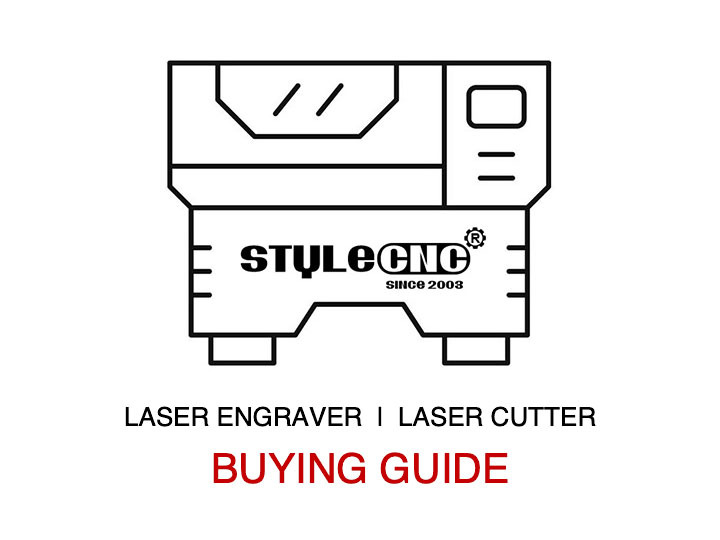 License: The text of "A Guide to Buy an Affordable Laser Engraver/Laser Cutter" by STYLECNC is licensed under a Creative Commons Attribution 4.0 International License. • Previous: What you should know before buying a fiber laser cutting machine for metal?